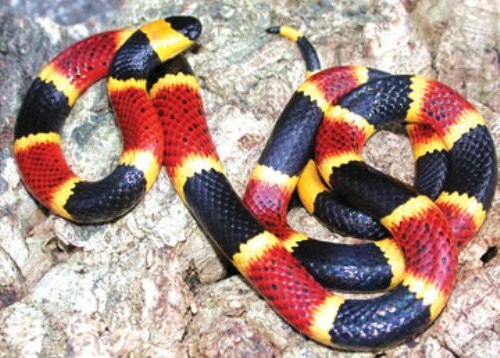 Most basal lineages of coral snakes are from Asia based on the genetic studies conducted by the scientists. Even though most of them are originated from Asia, you can also find some coral snakes native to North America. 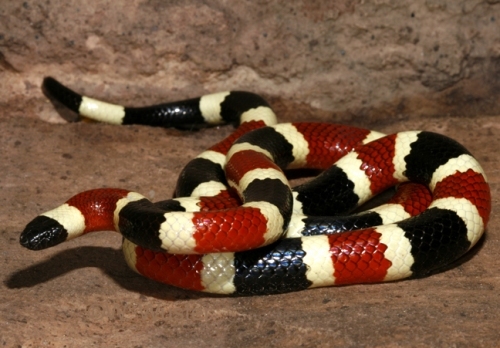 The North American coral snakes can be distinguished from other coral snakes by looking at the banding. 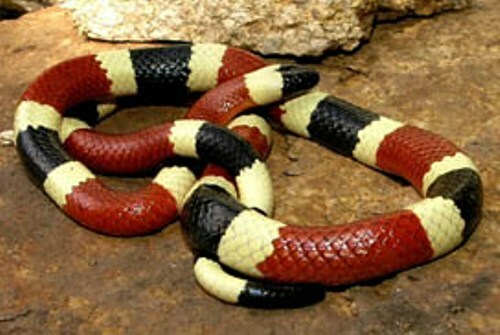 It has the black, yellow or white and red colored banding. 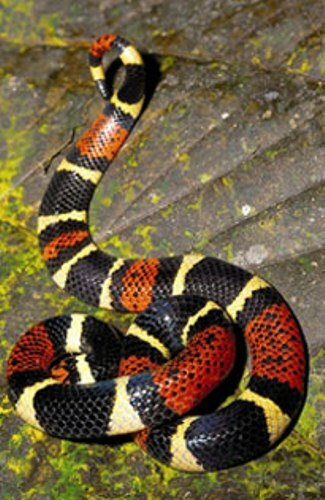 The similar coloration can be found on some non-venomous species of coral snakes like in the shovelnose snakes, milk snakes and scarlet snakes. Most people think that all snakes in yellow color are venomous. It is not true at all, but it applies for the coral snakes located in North America. You have to be careful with Arizona coral snakes, Texas coral snakes, and Eastern or common coral snakes in North America. You can find different patterns of coral snakes spreading around the globe. Some of them may have the blue banding, pink banding, black or even red banding. Others may have no banding. On average, the length of North American coral snake is around 91 cm or 3 feet. Check facts about British Snakes here. 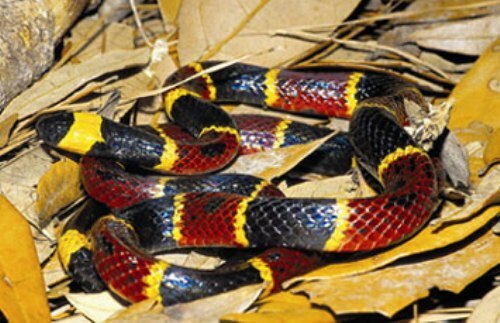 A fin is found on the aquatic species of coral snakes. This flattened tail will support the snake when swimming. The behavior of coral snake is reclusive. It tends to hide under the rotting wood. Check facts about California King Snakes here. Micrurus surinamensis is one of the aquatic coral snake species which spends most of their time in the water. Do you enjoy reading facts about coral snake? Find out the interesting information about the animal which has the scientific name Lynx rufus in Facts about Bobcats.